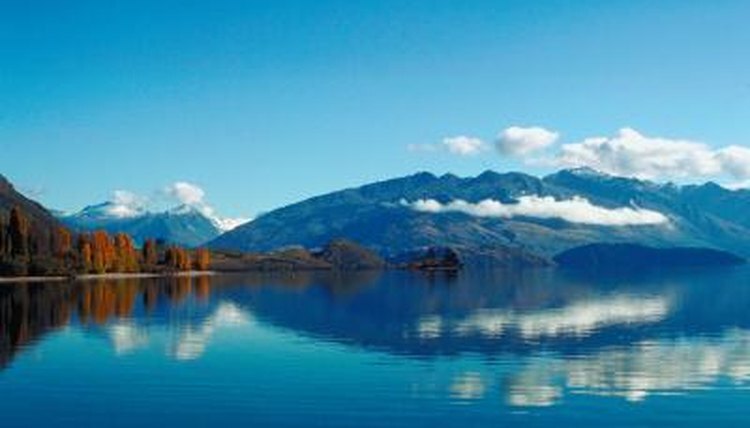 New Zealand is an island nation in the South Pacific over 1,000 miles southeast of Australia. Its isolated position makes New Zealand unique in the world for its lack of many species, including snakes. The islands were so isolated before it was visited by humans in 1150 AD that no mammals were present, and today a single bat species is the only nonhuman mammalian representative. New Zealand is one of several large islands around the globe where there have never been native snake populations. The others are Antarctica, Iceland, Ireland and Newfoundland. Snakes are more common than lizards around the world, and yet New Zealand is home to several species of lizard and not a single snake. Since snakes have neither evolved nor been deposited on the islands of New Zealand, their appearance would be a threat to other local wildlife, and so they are vigorously repelled. New Zealand does not have any land snakes, but it is visited on occasion by the yellow-bellied sea snake (Pelamis platurus) and the banded sea krait (Laticauda colubrina). These snakes live in salt water and swim long distances to the shores of New Zealand from place, like the islands of the South Pacific, New Guinea, Australia and Southeast Asia. Although small, both are poisonous, and potentially hazardous to local fauna and humans alike. With 35 confirmed sightings since 1930, there is a better chance of seeing a sea snake than a land snake in New Zealand, but the odds are you won't encounter either. Snakes sometimes do make their way to New Zealand by ship or other transport in the course of normal trade. When they do, the New Zealand government as well as local New Zealanders do whatever they must to eliminate the threat and stop them before they can spread. Specialists are sent to the area where the snake is spotted to make an assessment about the likelihood of breeding. If the threat is considered low-risk, officials will take the snake to be held in captivity. If a high-risk or breeding population is found, steps are taken to eradicate the problem. While New Zealand's anti-snake policy may seem a bit paranoid, there is good reason for it. In the approximately 1,000 years since humans arrived, the islands have lost a tremendous amount of native species. Nearly one-third of all birds, almost half the species of frog and a dozen plant species are now extinct. Hundreds of other species are considered endangered as well due to the introduction of new species and the loss of natural habitat as a result of development. The introduction of predatory snakes may be too much for the remaining environment to absorb. Texas Parks and Wildlife: Snakes!